There has been a lot going on here but none of it quilt related. I have Christmas presents I need to finish but can't show here and as far as the Red and White Snowball challenge, I'm going to be in last place finishing that one. There are actually people out there who have finished theirs, hello Thelma! 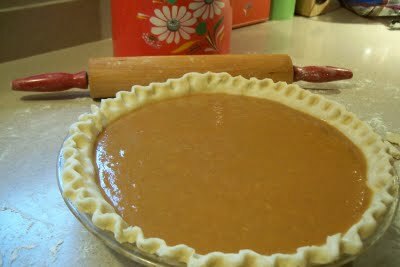 And my camera broke so I am showing a picture from a couple of years ago of what I usually do the day before Thanksgiving-bake pies. I love to make pies so that's what I will be contributing this year since the meal is being held in Connecticut and not my house. So have a wonderful day all you blogging peeps. Good for you for making home made crust for you delicious pie! There's none better! Yummy pies. I hope y'all have a great holiday and dern hope that camera gets fixed when it can be. Bet you I beat you for last place in the Snowball challenge! Happy Thanksgiving enjoy yoiur trip to ther Nutmeg State! Try not to eat too much!! But enjoy!